Tuna noodle casserole was a staple in my house when I was a kid. With this dish, you can feed a whole lot of mouths with very little money, which is why it was so appealing to vintage housewives. With a house to clean, kids to take care of, errands to run and so on, a 1950s wife often depended on quick, one-pot meals.You can find almost every ingredient for this recipe from the pantry. 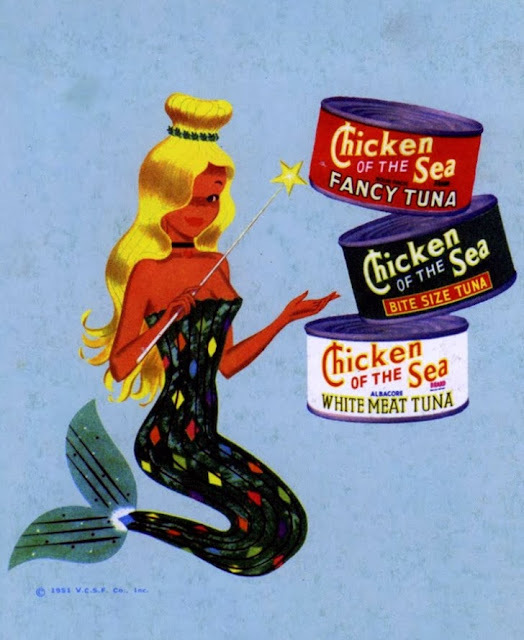 The 1950s was a great time for canned tuna. Every womens magazine had at least one recipe for the convenient meat and although not all of them were worthy of cooking twice, this classic meal has stood the test of time. If you're feeling really fancy and have a few extra dollars for the grocery budget this week, add pimentos, sauteed onions or make your mushroom bechamel sauce from scratch. For toppings, sprinkle with french fried onions, buttered bread crumbs or the classic- crunched up corn flakes. I made this for the first time for my husband not long ago and it has quickly become one of his comfort food favorites. Thanks Brittany for the yummy post. I love tuna noodle casserole, good grief, I could eat the whole pan. oh gosh, me too!! I usually made a huge dish and we eat it for a few days after. It reheats so well! When I was growing up we would have Spam casserole about once a week. Instead of cream soup, the sauce was made with Velveeta and of course, Spam chunks instead of tuna. To this day I can not eat Velveeta and can only sometimes tolerate Spam. What a fun walk down memory lane. This is one of those great mid-century staples that many parents of my generation continued to make because they'd grown up with it (much like green bean casserole, pineapple upside down, ambrosia, and potato chip chicken) and in turn ensured that I'd keep on making as I grew up myself. 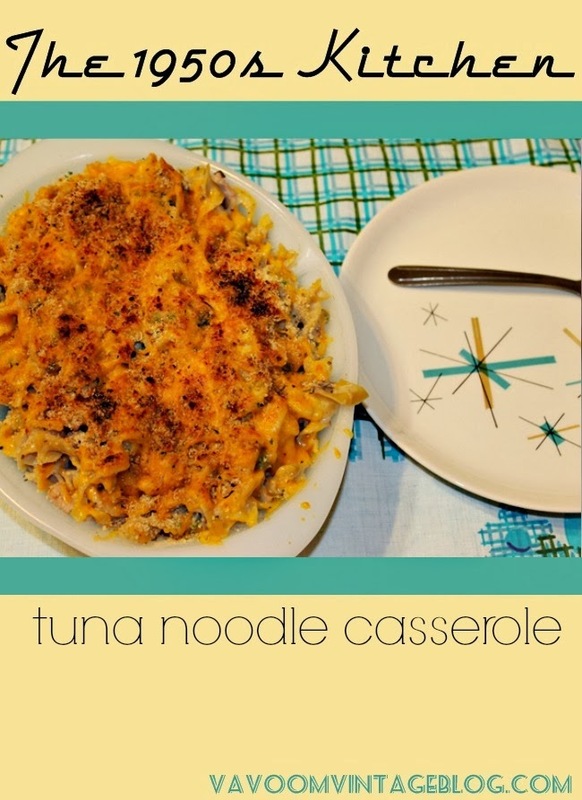 We LOVED tuna noodle casserole growing up. But my husband hates it, so I hardly ever get to eat it anymore. :( We always top ours with crushed potato chips! ;) So healthy and yummy! Ha! I grew up on this too. I make it sometimes for my oldest son, it is his favorite. My mom made tuna casserole all the time when I was a kid. It was my favorite dish. Instead of cheese on top, she put crumples potato chips.